Dalton C. Conley Ph.D., M.P.A. Award Year: 1999 Dr. Conley investigates the impact of family background on child health. He compares health, developmental, and behavioral outcomes among children from the same family, extended family, and community of origin. The project examines: 1) which health conditions and behaviors tend to cluster within families and which are more individually specific or community-driven; 2) why health and behavioral outcomes of some siblings, cousins, or childhood neighbors are relatively similar, while others are not; 3) how siblings affect each other's health behaviors and development; 4) how well proxies for socio-economic status explain differences in child outcomes between families; 5) whether extended family and neighborhoods have an influence on household-level effects; and 6) at what ages family environment is most critical to child health and development, and when communities are more important. Resulting information should help policymakers to better target efforts to improve specific health outcomes or behaviors among at-risk children. 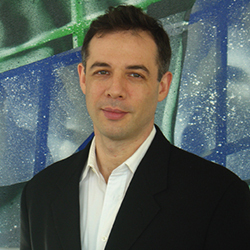 Dalton Conley is the Henry Putnam University Professor in the Department of Sociology at Princeton University. Previously, he was Senior Vice Provost and Dean for the Social Sciences. He also holds appointments at NYU's Wagner School of Public Service, as an adjunct professor of community medicine at Mount Sinai School of Medicine, and as a research associate at the National Bureau of Economic Research (NBER). In 2005, Conley became the first sociologist to win the NSF's Alan T. Waterman Award. His scholarly research focuses on how socioeconomic status is transmitted across generations and the public policies that affect that process. In this vein, he studies sibling differences in socioeconomic success, racial inequalities, the measurement of class and social status, and how health and biology affect (and are affected by) social position. Dr. Conley is author of Being Black, Living in the Red: Race, Wealth and Social Policy in America (winner of the American Sociological Association 1997 Dissertation Award), Honky, a sociological memoir, The Starting Gate: Birth Weight and Life Chances (with Kate Strully and Neil G. Bennett), and The Pecking Order: Which Siblings Succeed and Why (2004). He has received a RWJF Investigator Award and a CAREER Award from the National Science Foundation. In addition to academic journals, Conley is a frequent contributor to mainstream media, including The New York Times, Time Magazine, The Los Angeles Times, The Nation, Salon, Le Monde Diplomatique and various other trade publications. Conley, D., Pfeiffer, K.M., Velez, M. Explaining Sibling Differences in Achievement and Behavioral Outcomes: The Importance of within and between Family Factors. Social Science Research, 2007, 36(3): 1087-1104. Conley, D. For Siblings, Inequality Starts at Home. Chronicle of Higher Education, 2004, 50(26): B6. Conley, D. My Brother the Bum. Forbes, 2004, 173(4): 40. Conley, D., Strully, K., Bennett, N.G. A Pound of Flesh or Just Proxy? Using Twin Differences to Estimate the Effect of Birth Weight on Life Chances. NBER Working Paper , 2003, 9901. Conley, D., Bennett, N.G. Comment on Outcomes in Young Adulthood for Very- Low-Birth-Weight Infants. NEJM, 2002, 347(2): 141-3. Conley, D., Bennett, N.G. Birth Weight and Income. J of Health and Social Behavior, 2001, 42(4): 450-65. Conley, D., Springer, K.W. Welfare State and Infant Mortality. American J of Sociology, 2001, 107(3): 768-807. Conley, D. The Pecking Order: Which Siblings Succeed and Why. Pantheon Books, 2004. Conley, D. The Starting Gate: Birth Weight and Life Chances. University of California Press, 2003.